l-Tryptophan is an important aromatic amino acid that is used widely in the food, chemical, and pharmaceutical industries. Compared with the traditional synthetic methods, production of l-tryptophan by microbes is environmentally friendly and has low production costs, and feed stocks are renewable. 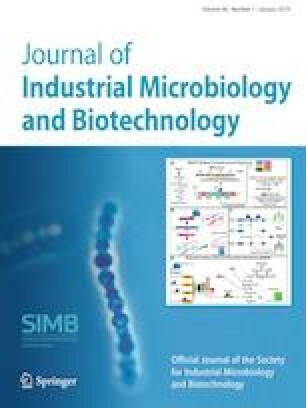 With the development of metabolic engineering, highly efficient production of l-tryptophan in Escherichia coli has been achieved by eliminating negative regulation factors, improving the intracellular level of precursors, engineering of transport systems and overexpression of rate-limiting enzymes. However, challenges remain for l-tryptophan biosynthesis to be cost-competitive. In this review, successful and applicable strategies derived from metabolic engineering for increasing l-tryptophan accumulation in E. coli are summarized. In addition, perspectives for further efficient production of l-tryptophan are discussed. This work was financially supported by the National Natural Science Foundation of China (31600066, 31100088, and 31600148), the Shandong province science and technology development plan (2013GSF12006), the Shandong Provincial Natural Science Foundation (ZR2016CB20 and ZR2016CL02), and the State Key Laboratory of Microbial Technology Open Projects Fund (M2016-10).